“Wheelbarrow,” said my friend David as we were speaking to a group of CEOs from other organisations. None of the others present understood what he meant and, after a momentary flurry of surprised looks, the discussion continued. I don’t know if any of them noticed the immediate change in the way we were interacting. The discussion started with one of the other CEOs raising a significant challenge her team was facing. She was looking for advice from us. I responded by beginning to tell her about how my own team had dealt with a similar challenge a few months earlier. After David “wheelbarrowed” me I began to ask questions, talk less, listen carefully to the answers, clarify my understanding where necessary, and ask more questions. The word “wheelbarrow” had become a powerful leadership tool for us both. It was after a conference dinner, some years earlier, that David reflected with me that he would have liked to hear more from the other people sitting at our table. As I thought about the evening I could see that the others seated at our table were very engaged in listening to what we had to say in response to their questions. They raised problems, they listened carefully and asked questions related to situations they were facing in their work environments. Superficially, I thought it was a great evening. As I reflected further I realised we had learned very little about, or from, them and as a result, we hadn’t maximised the opportunity we had to learn from them. With even more thought about the dynamics of the evening, I came to the conclusion I was finding it very reassuring that I was able to help people, that I actually knew stuff about their problems. What that told me was my ego was enjoying being able to engage with people in knowledgeable and informative ways. Ouch! I had fallen into the trap of ‘telling’ rather than helping others realise their own agency. Human agency is, for me, the capability people have to evaluate, analyse, think, reflect and make choices as a result of these capabilities. People have the ability to evaluate and organise information and decide on action. As a Fourth Question Leader I want to take every opportunity I can to help others, to put their needs first. Being able to provide solutions and information about organisational challenges might well give me a boost to my ego, but it is not the best way to actually help others. It also often means I do not maximise the learning I would get from hearing their ideas. I needed a good leadership tool to help me identify where my ego might be getting in the way. The word “wheelbarrow” became a code word my friend and I could use in any conversation to remind us to not take up the time with the sound of our own voices and to ask questions to bring the discussion to a deeper level. What a powerful leadership tool. While David and I rarely have to “wheelbarrow” each other these days, we often pass on the value of this code word to other leaders. When I respond to questions with the solution it can rob the opportunity for others to think deeply and realise they have the capacity to think through the solution for themselves. At its worst, being a leader who provides solutions for people creates a dependency on you while feeding an ego which may not need any more food. Whereas, drawing out possible solutions from members of your team develops agency and reduces dependency on you to provide solutions. We tend to operate from a “time poor” mindset within which we are motivated to get to the source of problems and fix them as quickly as we can. On the surface this seems just common sense and good business. However, it creates a dependency on the giver of the solutions. Rather than giving people permission to explore solutions themselves it centralises the permission giving. When very tight control is needed you may want to do this. However, there are often hidden efficiencies to be realised by encouraging others to be innovators and problem solvers. Sure, in the short term it might take a bit longer and be a bit messier; but in the long term it will actually spread the load and result in significant increases in efficiency. At the same time other team members get the positive feedback from seeing their ideas achieve results. Who knew, a “wheelbarrow” could be such a significant leadership tool. A code word can serve as a great leadership tool – a reminder of some agreed message between colleagues. When leaders offer solutions to problems they create a dependency on themselves and restrict innovation and problem solving in others. Ego feeding can be a distraction from helping others. 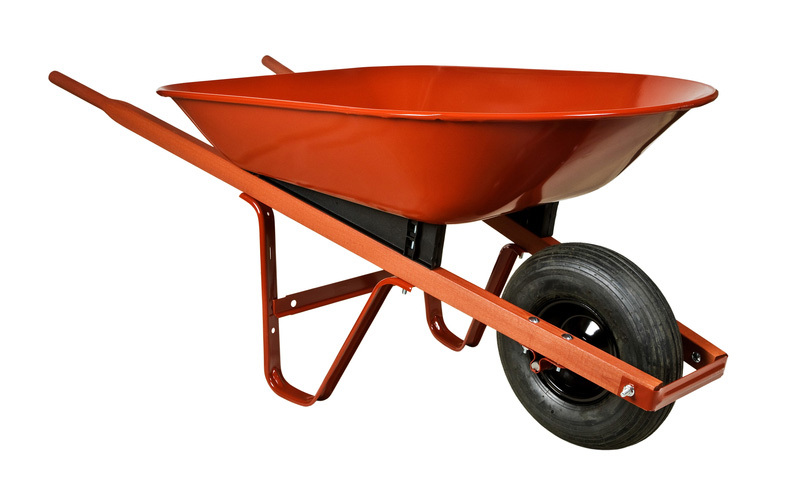 Developing a leadership tool like “wheelbarrow” can help. Helping others to develop problem solving skills and trusting them to find solutions may take more time than providing the solution to them but, over time, it will significantly spread the load and save time. I have been an educator since 1982 and after 33 years as Principal of Mackay Christian College (since its inception in 1984) I am Dean of Education, Humanities and Business at Christian Heritage College, Brisbane. My tertiary study has been focussed on leadership and organisational culture. My Doctoral studies were in the development of values in adolescents. I am passionate about helping others be the very best they can be and I believe it is by doing this that I can be my best self. I am a committed Christian who sees his work place as a place of calling and his career as a ministry. Dr Craig Murison on Going Beyond Aspirational Values. If you can’t see it, you can’t shoot it! The Fourth Question is : What is my, or our, motivation? The philosophy of Fourth Question Leadership is that teams and organizations flourish and are empowered to reach their full potential only when a leader puts the interests of others first. Fourth Question Leadership draws heavily from both transformational and servant leadership theories. The leadership dilemma faced by every Fourth Question Leader is the tension which exists between the needs and demands of the organization and those of the people in the organization. Both must be served if Fourth Question Leadership is to be truly effective. I hope you enjoy reading the Fourth Question Leadership pages and posts. If they cause you to stop and reflect on your own leadership practices I will feel it has been worth while.